The Westwood Country English at 1318 Holmby Ave., LA CA 90024 received its 6th price reduction of the current listing term of 1.43% or $20,000, down to $1,375,000. 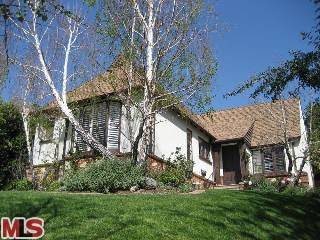 This house was listed 224 days ago on 3/23/09 for $1,685,000. According to the MLS, the home is a 3 bedroom / 3.5 bath, 2,320 sq ft on a 6,500 sq ft lot. According to the MLS, the owner is motivated.. and the house has been remodeled throughout with updated electrical, copper plumbing and a newer roof. The house also has a newer remodeled gourmet kitchen and baths.